Opened in May 1911, the Ceiriog Memorial Institute in Glyn Ceiriog was founded by Sir Alfred T Davies and erected by public subscriptions as a lasting memorial to the famous Welsh poet John ‘Ceiriog’ Hughes, and other notable Welsh dignitaries. Situated on the village High Street, the Institute forms the heart of the community, holding meetings, concerts, choir rehearsals, debates and social functions, as well as containing a fascinating museum – recently refurbished – displaying many unique exhibits relating to the Ceiriog Valley and beyond. 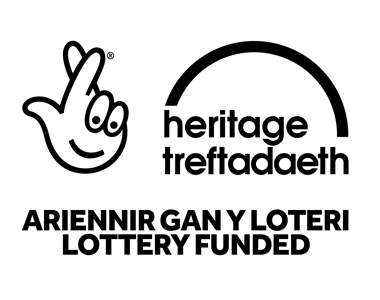 These include a treasured collection of stained glass windows commemorating characters from Welsh history; portraits and sculptures; many objects relating to the industrial heritage of the Valley (including the Glyn Valley Tramway); a collection of Eisteddfod Chairs; samples of the poet Ceiriog’s work; and much more. As a testament to traditional Welsh values and heritage there is no better example throughout the land – and this is according to the words of both Lloyd George and Jan Morris! The building also contains a Main Hall seating 200, modern kitchen, and a Snooker Room. The Hall, kitchen, and smaller committee rooms are available for hire throughout the year, and visitors are welcome by prior arrangement (or when the museum is opened on Saturdays throughout the summer months).